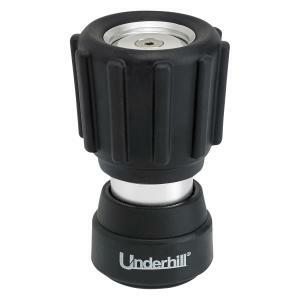 The Mini-Magnum Hose Nozzle from Underhill is a variable spray nozzle with smooth, no leak operation. Adjusts from light fan spray to jet stream by simply twisting the nozzle. Perfect for turf or plant watering, seed beds and washing power equipment.